Warren, Sasser & Associates, LLC is a locally owned accounting firm with offices in Geneva and Opp, Alabama, and DeFuniak Springs, Florida. We bring a variety of skills and depth of knowledge to each of our practice areas in tax and finance. Our principal focus is to provide our clients with professional services that will enable them to increase and maintain their wealth. Our clients include small and medium-sized businesses, individuals, and matters concerning estates and trusts. Traditional services such as general accounting, tax, software management, personal financial planning, and management advising are tailored to your specific needs. 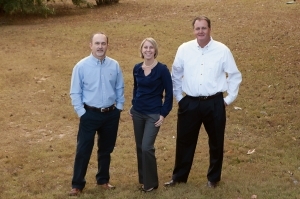 We want all of our clients to feel that Warren, Sasser & Associates is a perfect fit for them! Our commitment to you and your business is evident in the many ways we endeavor to enhance and refine our service skills. Our professionals and staff are continually challenged to advance and grow with ever-changing technology and law. We consider this growth an investment in ourselves, our clients, and the business community as a whole. We are constantly challenged to advance and grow with ever-changing technology and law. The firm was founded in November of 1995 in Geneva, Alabama. Our Opp office opened in July of 1998. In November of 2005 we expanded to DeFuniak Springs, Florida. Derek Warren is the manager of the Geneva office, as well as the managing member of the firm. Allen Sasser manages the Opp office and the DeFuniak Springs office is managed by Letha Hinote. Read more about Allen, Letha or Derek. We are members of the AICPA, Alabama Society of CPA’s, and the Florida Institute of CPA’s.